The City of Ballarat has been planning for a Waste to Energy plant for five years, which would divert 60 per cent of the city’s waste into an affordable and secure energy source for industry, reduce carbon emissions and decrease the current regional landfill’s environmental impacts. A Waste to Energy facility at the Ballarat West Employment Zone would provide a long-term waste management solution not only for Ballarat but also the Western region, with the proposed facility capable of processing large volumes of municipal waste and providing energy not achievable through any other technology while also producing no adverse emissions. It is also estimated a Waste to Energy facility would increase the size of Ballarat’s economy by $202 million through building and flow-on effects, with about 420 jobs created during construction. It would also generate 120 ongoing jobs. In August, the City of Ballarat signed a very significant Waste to Energy Heads of Agreement with global firm, Malaysian Resources Corporation Berhad (MRCB). The agreement allows MRCB to undertake a due diligence study leading to a business case for a Victorian first, $300 million municipal Waste to Energy plant in the Ballarat West Employment Zone. MRCB’s technology partner, Babcock and Wilcox Volund, has already built Waste to Energy plants all over the world, including the United States, China, Sweden, Ireland, Denmark, Malaysia and Korea. The City of Ballarat intends to keep residents up-to-date throughout this process, and has created this project page as a one-stop information platform for the entire community. 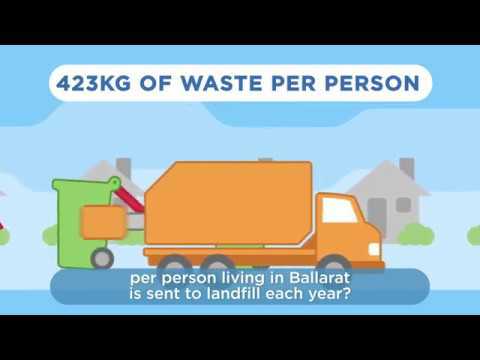 You can also visit ballarat.vic.gov.au to find out more about waste and recycling. 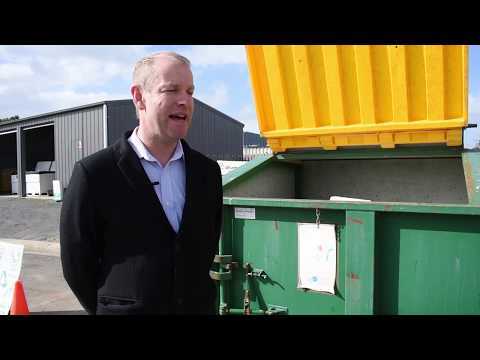 Click here to play video We noticed some questions coming from the community about the proposed Waste to Energy Facility so we caught up with Steve from our Operations and Environment team to provide some answers. Q. Why are we looking at Waste to Energy? Q. What is a Heads of Agreement? The City of Ballarat signed a very significant Waste to Energy Heads of Agreement with global firm, Malaysian Resources Corporation Berhad (MRCB). Ballarat City Council considered a proposal to proceed with the development of the Ballarat West Employment Zone (BWEZ) land south of the Ararat railway line to accommodate an All-Waste Interchange site at its ordinary meeting on 22 August 2018. The $5 million project is provided for within Council’s 2018/19 budget, and would complete initial land development at the site to allow for the construction of an All Waste Interchange in the near future. Works required include securing land, undertaking cultural heritage management requirements, approval for a planned sub-division, drafting engineering designs, and proceeding to the tender and construction phases. An All-Waste Interchange would provide for a central receival point for Council’s kerbside collection service for general waste, recyclables, and green waste. It is also proposed that the existing Gillies Street transfer station would relocate to the BWEZ site within 12-18 months of construction. MRCB have exclusive access to City of Ballarat waste data for 120 days to develop a detailed business case. If MRCB’s business case for the project is successful a planning permit will be required for the use and development. Given the nature of the use, a Works Approval will also be required from the Environmental Protection Authority (EPA) who will ensure that all processing on the site meets the relevant regulations and off-site impacts are minimised.